The legendary “Cavalier Duo” strikes again! Fire Emblem composers Hiroki Morishita and Takeru Kanazaki have once again put together a stellar album based on their Cipher Festival performances. 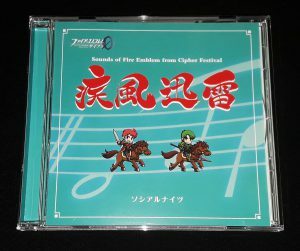 This Galeforce CD contains a selection of songs from throughout the Fire Emblem series performed by the duo. Unfortunately for international fans, the Galeforce CD was only available at Comiket 95 this past December. However, I was able to get my hands on a copy thanks to a friend in Japan. Scroll on down below for some more photos and information. You can also to listen to the tracks for yourself! 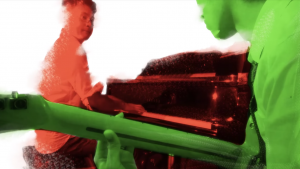 The Cavalier Duo is made up of two composers, Hiroki Morishita as the Red Cavalier, and Takeru Kanazaki as the Green. Both have been working as part of the Fire Emblem music team for a number of years. The pair worked together on the music for Fates. Additionally, Morishita worked on Awakening and Heroes, while Kanazaki was involved with the music for Echoes. Last month, we learned that there will be a live concert during the Fire Emblem Expo event on May 2019. 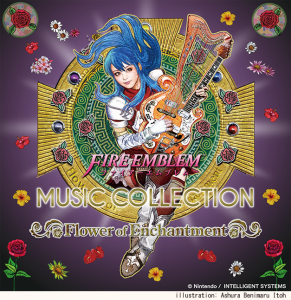 For those who can’t make it–or wish to preserve the music–Intelligent Systems will be releasing a CD featuring all the songs. 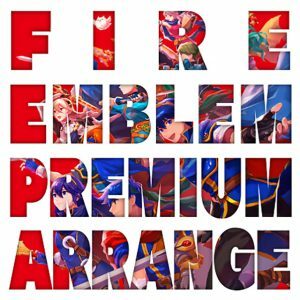 Today, they officially announced the details of said CD, which is titled “Fire Emblem Premium Arrange”. It will come out on 20th March, long before the expo starts, and retails for 3,200 Yen (including tax). Those in Japan can pre-order it directly from Intelligent Systems. The CD itself includes 15 songs, of which 14 will be played at the concert, plus a bonus song exclusive to the CD: a rendition of Conquest (Ablaze), sung by Lucina’s voice actress, Yū Kobayashi. It will also have a full colour, 8-page booklet. To ease the wait, the official expo site includes samples of all the included songs, on this page (just click the red “play” buttons). Below, you can find the track list, as well as a re-hosted playlist with all the sample tracks. It seems the Fire Emblem piano music CD was a hit, because a second music CD has been announced, dubbed “Session ~Flower of Enchantment~”. This time, a larger variety of instruments will feature, including guitar, bass, drum, keyboard and saxophone. 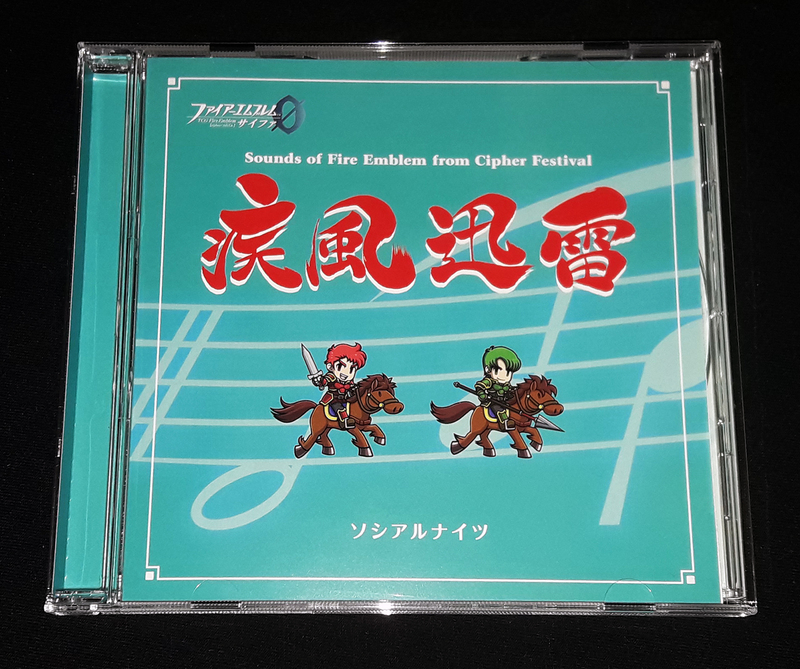 The new CD contains 15 tracks from the very first game all the way up to Shadows of Valentia–and even Heroes sneaks in an appearance. It will release on 28th March 2018 and cost 3,200 Yen (including tax). 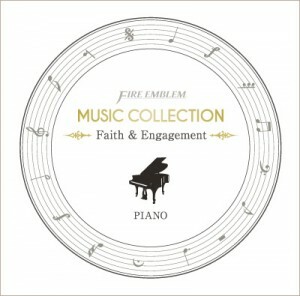 Just when you thought 2016 had no more news to offer, Nintendo and Intelligent Systems has announced a new Fire Emblem piano music CD and live concerts to celebrate its release. The “Fire Emblem Music Collection: Piano ~Faith & Engagement~” CD contains 16 tracks from throughout the series, composed and performed by the up-and-coming female pianist Keiko. The CD will cost 3,200 Yen (including tax) and is scheduled for release on 22nd February 2017 in Japan. Fortunately, the rest of us can order it from import stores such as CD Japan.